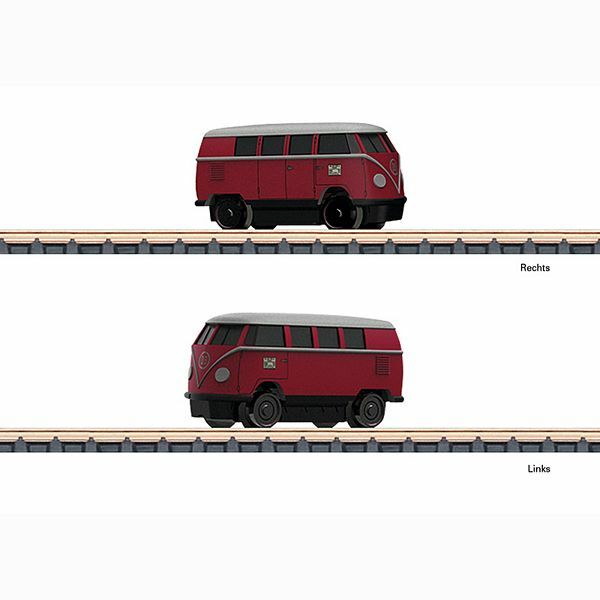 Prototype: German Federal Railroad (DB) class Klv 20 small car, VW T1 van (VW Bulli). The unit looks as it did in Era III. Model: This is completely new tooling for a class Klv 20. The model has very fine imprinting. It comes with a motor with a bell-shaped armature. Both axles powered. The body is made of plastic filled with metal. The wheels have dark nickel-plated treads. Length 21.7 mm / 7/8". Mechanism includes a motor with a bell-shaped armature.